New Zealand kiwifruit growers and the Ministry of Primary Industries (MPI) will both begin their respective cases in the Court of Appeal next week. Last June, the NZ High court ruled that the MPI (formally MAF) was negligent on several different occasions when it allowed Psa disease into New Zealand in 2009 after a 12-week hearing. But a notice was filed against the decision, with both sides lodging their own appeals. The plaintiffs, which include 212 growers, successfully proved that a shipment which arrived into New Zealand from Shaanxi Province, China, in 2009 containing 4.5kg of pollen, anthers and other banned plant material, was infected with Psa. The Crown (MPI) are arguing that they do not believe that they owed a duty of care to private citizens, in this case kiwifruit growers. and also believes that its employees have statutory immunity from being held liable for negligence. It also claims that Justice Jillian Mallon made an error in her consideration of the factual evidence presented. Many of the Crown's 92 appeal arguments are dependent on what it considers to be mischaracterisations of the judgement and the plaintiffs’ case. 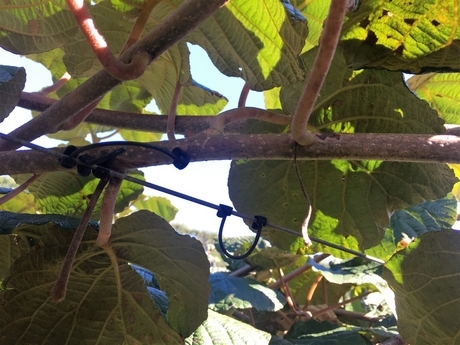 The plaintiffs have launched a cross-appeal, seeking to confirm that MPI was negligent when they failed to inspect the shipment of banned kiwifruit plant material, infected with Psa, at the border when it arrived from China; and challenges the decision that the Government did not owe a duty of care to Seeka as a post-harvest operator. The plaintiffs say that another ruling in their favour, finding MPI owed a duty of care at the border and were negligent in their inspection process. will again highlight the clear mistakes made by MPI at the border, that if done properly would have prevented Psa from entering NZ. Furthermore, the kiwifruit growers are also contesting Justice Mallon's judgement, which found that a duty of care was not owed to Seeka, in its capacity as post-harvest operator. The company was one of the plaintiffs in the 12-week High Court proceedings, and were claiming losses as a grower as well as post-harvest company – with the latter being rejected. The plaintiffs argue that she applied an old English law test that says people/businesses must suffer property damage and not only economic damage, and because Seeka suffered a loss due to its business relationship, rather than because it had property rights in the infected vines – it was economic damage. The cross-appeal will attempt to point out that the test applied is irrelevant and the evidence presented in Court justifies the proximate relationship. If successful, it will significantly increase the amount of the plaintiffs’ claim and compensation owed as a result of MPI’s negligence. The only comment the MPI has made was back in July last year, releasing a statement which read: "The Ministry considers the High Court finding has the potential to significantly impact on the Ministry's biosecurity operations. MPI takes its biosecurity responsibilities seriously, and while the decision is being appealed, it must still be applied in the interim. The impact of this for importers and others will be delays in decision-making. The Court's finding traverses events dating back 12 years, pre-dating the establishment of the Ministry. The Ministry is continually enhancing and improving the way it manages pre-border risk and import processes at the border." Opening statements begin on Monday.